The parliament is to consider the relevant bill on Thursday. The EU Delegation to Ukraine called on the Verkhovna Rada not to extend the export duties on scrap metal. "The Verkhovna Rada plans to consider an extension of export duties on metal scrap today, which would break an agreement with the EU to remove these duties. While we acknowledge the difficult situation the Ukrainian steel industry is faced with, the extension of export duties on scrap metal is not a sustainable solution, and is not in line with Ukraine's international commitments," the delegation said in a release on 8 June. "We hope that members of the Verkhovna Rada will respect the international commitments that Ukraine has publicly made and will avoid opening another bilateral trade dispute with the EU,' the release concluded. The parliament's Thursday agenda includes the first reading of Bill No. 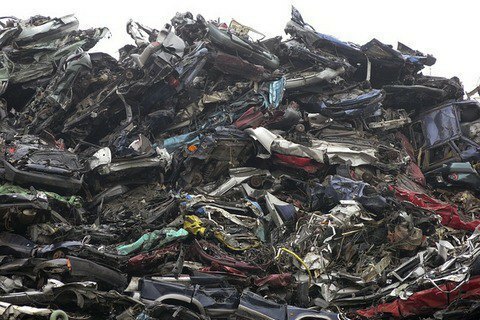 6382, which is proposed to extend for a period of two years, the export duty on waste and scrap of ferrous metals at the level of 30 euros per ton. The Rada's Committee on Industrial Policy recommended that the parliament adopt this bill. On July 12, 2016, the Rada passed a law amending certain laws of Ukraine concerning the reduction of the deficit of ferrous metal scrap in the domestic market. The bill raised the export duty rates for scrap metal from 10 euros per ton to 30 euros per ton from 15 September, 2016 for a year, and canceled registration of scrap import contracts.